Hanalei Bay. Bali Hai. Sunsets. Waterfalls. Rainbows. 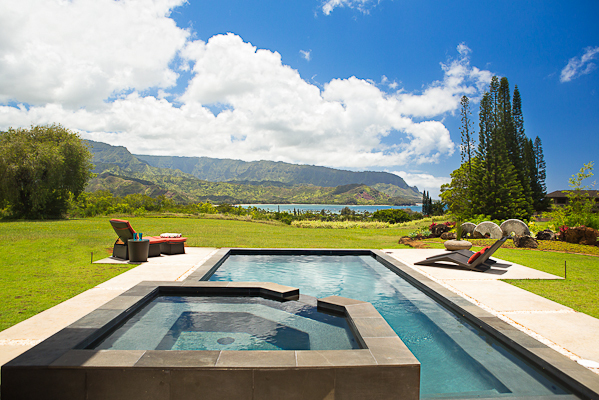 This new home on Hanalei Plantation Road is an invitation to marvel at nature’s wonder. 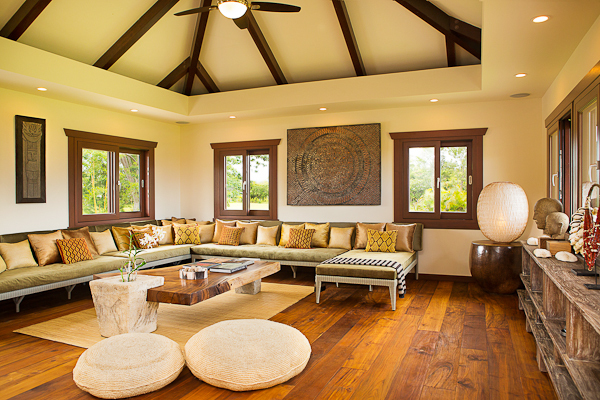 Lounge on two spacious covered lanais. Take a dip in the saltwater swimming pool. Soak in the spa under the stars. And then there’s the indoor decor. Sourced from around the world and/or designed specifically for this home, it sets this residence apart (and is available as a turnkey package). When every element of a home is so carefully considered, the end result is more than the sum of the individual parts. In this case, it’s a work of art. 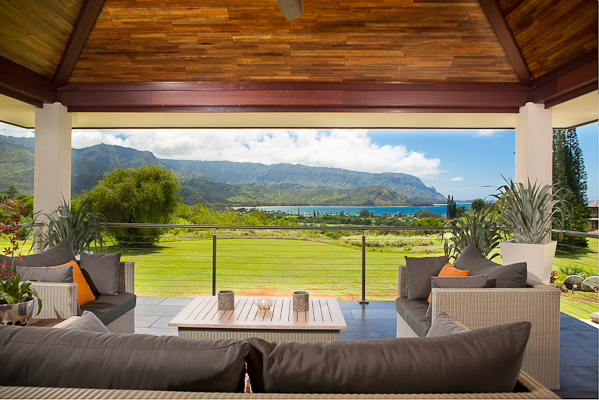 All that, and a recent dramatic price reduction, make this one of the most compelling offerings on the island of Kauai – or any island.